This is a comprehensive introduction to the history of Western Philosophy from the Pre-Socratics to Twentieth Century thought. In addition to all the key figures, the book covers figures whose contributions have so far been overlooked, such as Vico, Montesquieu, Durkheim and Weber. Along with in-depth discussion of the philosophical movements, Skirbekk and Gilje also discuss the natural sciences, the establishment of the Humanities, Socialism and Fascism, Psychoanalysis, and the rise of the social sciences. 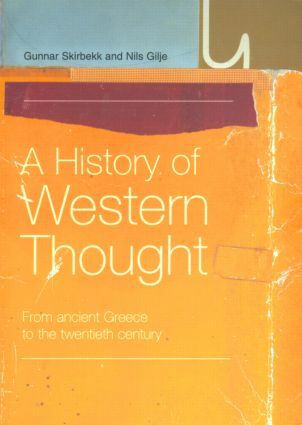 History of Western Thought is an ideal introduction to philosophy and the sociological and scientific structures that have shaped modern day philosophy.